rosie wilby news: Nineties Woman comes to Edinburgh Fringe - and its FREE! 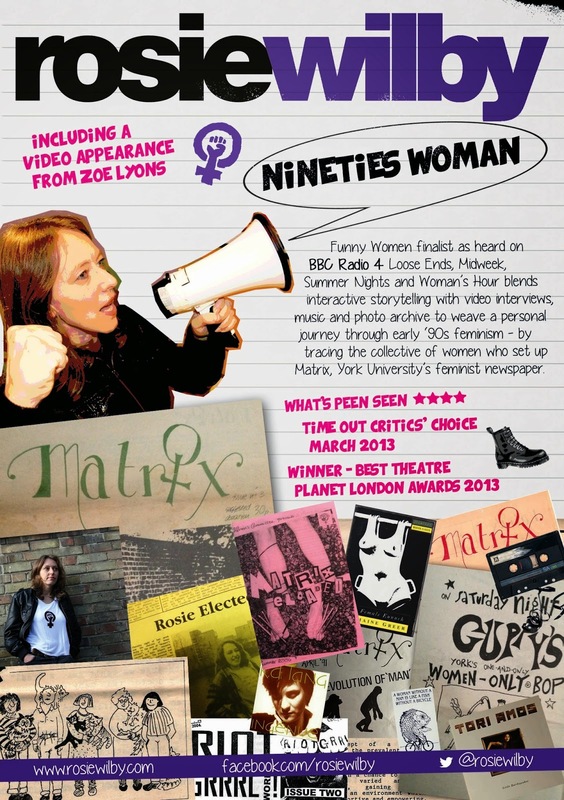 Nineties Woman comes to Edinburgh Fringe - and its FREE! Award-winning comedian, broadcaster and author. She has appeared on Radio 4 programmes including Woman's Hour and Four Thought, TV programmes including Good Morning Britain and at festivals including Latitude, Secret Garden Party, Green Man, Port Eliot, Wilderness, Larmer Tree, End of the Road and How The Light Gets In. Rosie's book Is Monogamy Dead? was longlisted for the Polari First Book Prize 2018 and followed her TEDx talk of the same name and a trilogy of solo shows investigating love and relationships. She is the creator and host of The Breakup Monologues podcast.